According to the Chinese zodiac, 2019 marks the year of the pig. 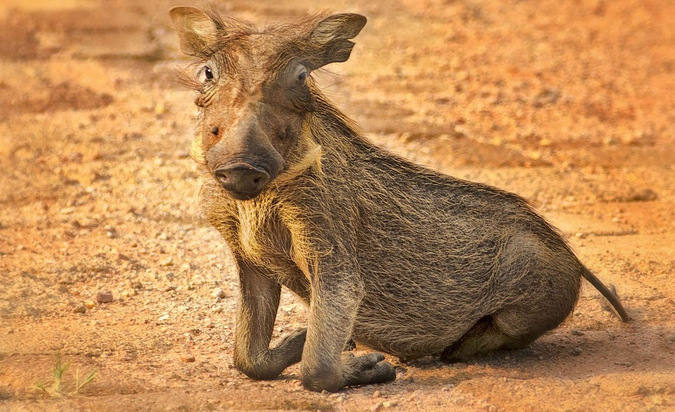 So what better way to celebrate it than by taking a look at Africa’s own wild pig: the warthog! To avoid any confusion, there are other species of pig in Africa, such as the Eurasian wild pig (Sus scrofa) found in North Africa, as well as the bushpig (Potamochoerus larvatus) which is quite common in East and Southern Africa. 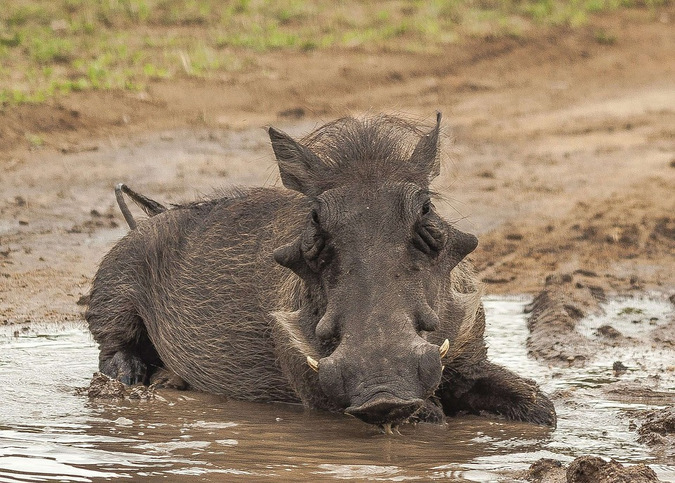 As interesting as those are, the warthog is just as fascinating, and here we get to find out a bit more about this wild member of the pig family with the following facts. There are two species of warthog: The common warthog (Phacochoerus africanus), which has four subspecies. And then there’s the desert warthog (Phacochoerus aethiopicus), that has two subspecies – one of which went extinct in the 1870s. The common warthog has the widest distribution in Africa, whereas the desert warthog is only found in Ethiopia, Kenya, and Somalia. The common warthog is found in much of Africa, below the Sahara desert. They are abundant in East Africa and Southern Africa, with their favourite habitat being grassland, savannah and woodlands. 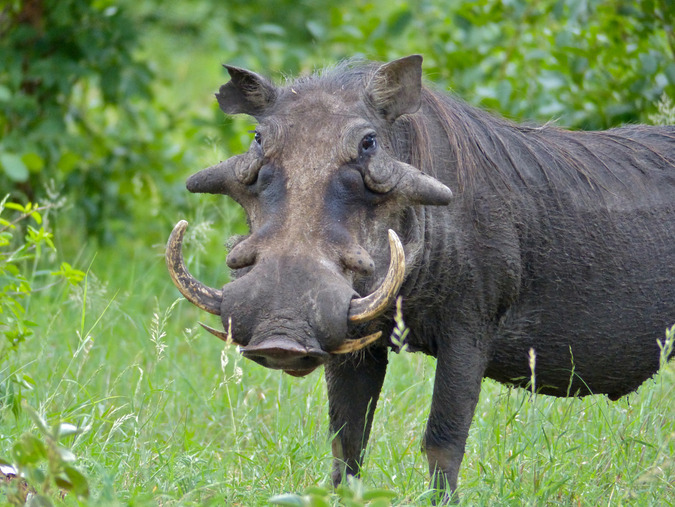 The name ‘warthog’ comes from their large wart-like protuberances found on its face. Technically they are not warts, but rather they are made of bone and cartilage. The male (boar) has two pairs of these ‘warts’ and the female (sow) one pair. 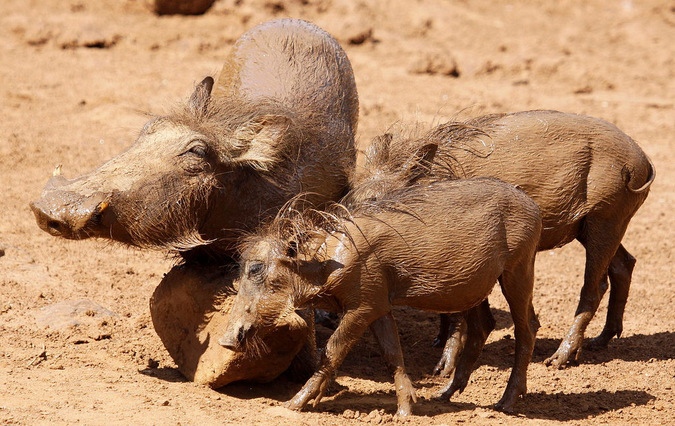 Warthogs like to live in abandoned burrows that were dug out by other animals, such as aardvarks or porcupines. These burrows are used for a number of reasons, such as for sleeping, where they raise their young, and a safe place to escape from predators. 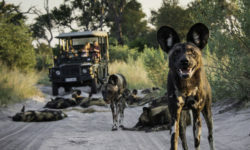 In order to ensure their safety, and when protecting themselves from pursuing predators, they will slide into a burrow backwards, tail first, so that they can use their formidable tusks to defend themselves against unwanted guests. 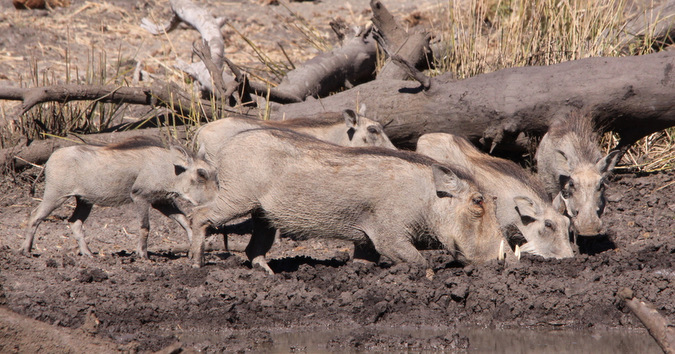 When startled or threatened, warthogs can be surprisingly fast, running at speeds of up to 50 km per hour! You will notice that their face is quite wide and flat, with a prolonged snout and four impressive tusks. Their eyes sit high on their heads so that they can spot predators, even while grazing. While their eyesight may be quite poor, they have an excellent sense of smell and are able to sniff out food and detect predators. Their hearing is also quite keen. Warthogs have specially-adapted protective pads on their wrists that allow them to ‘kneel’ down to feed. Thanks to their short necks and relativity long legs it is far easier for them to kneel while grazing than it would be for other grazers. 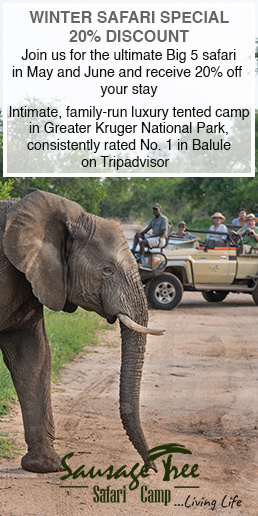 Their tusks are used mainly for self-defence and when males battle it out for breeding rights. 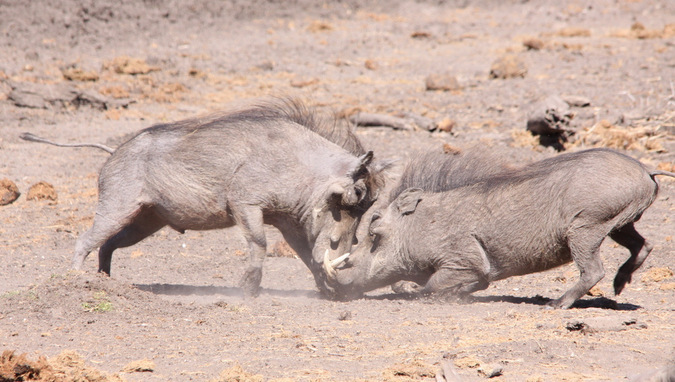 Read more about the bizarre mating antics of warthogs here! Quite often when you see a warthog in the wild it will either be running away with its tail straight up… or grazing. Warthogs spend much of their time grazing for food, with grass as a staple in their diet. 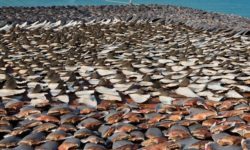 However, they are omnivorous, meaning that they will eat both plants and small animals when given the opportunity – their diet can be quite adaptable depending on the availability of resources! 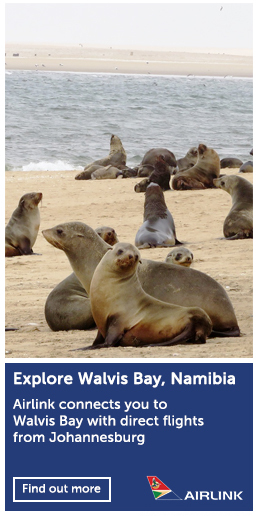 Usually you will see them eating grass and using their snout (and sometimes tusks) to dig up bulbs and roots. Other common food items include eggs, carrion, fruit, berries, insects and mushrooms. Watch a video of warthogs eating a zebra carcass here! Female warthogs are sociable creatures, and live in matriarchal groups called sounders with one or two adult females and their young. Sounders occupy home ranges but are not territorial. These grounds can get quite noisy as warthogs love to communicate with each other, using a range of vocals from grunts and snorts to squeals and growls! Young males usually form loose bachelor groups, though when reaching adulthood they will go their separate ways and lead a solitary life. 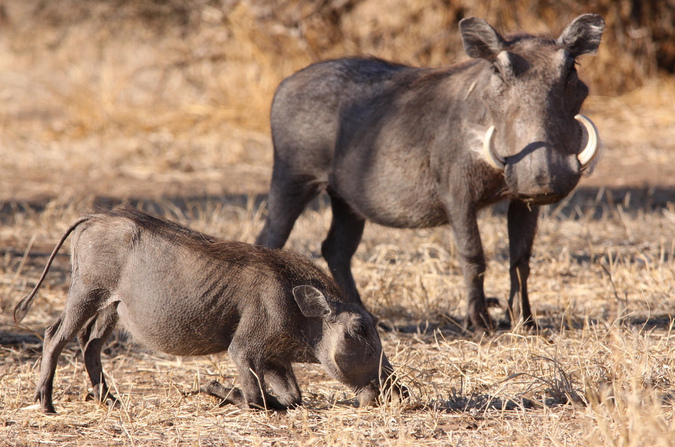 Female warthogs will have an average of four piglets after a five to six month gestation period. Being very protective mothers, the females will leave the sounder to give birth in a separate burrow. After about 10 days they will be allowed to leave the burrow to start exploring and meeting the rest of the sounder. 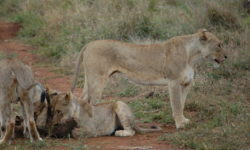 The mother will wean them at three months. Usually around two or four piglets will survive to adulthood, and mothers who have lost their own litter have been observed nursing foster piglets, a practise known as allosuckling. Even though warthogs are not considered endangered, they are still threatened by poaching as they are hunted for their ivory tusks and meat. 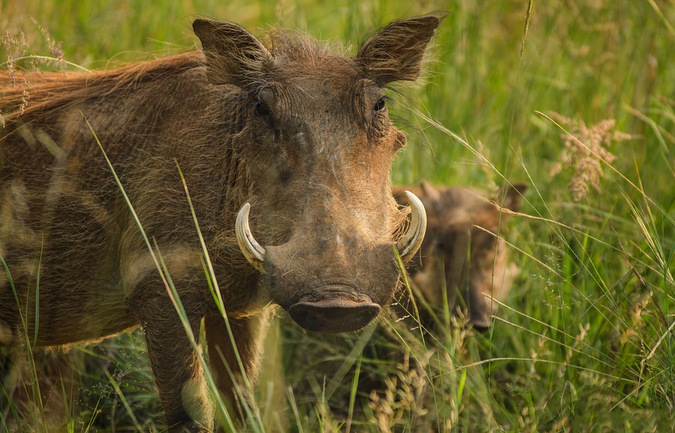 Warthogs can also be a problem to farmers – for eating their crops and because they carry diseases such as swine fever that can be passed onto domestic animals. And so farmers often persecute warthogs. 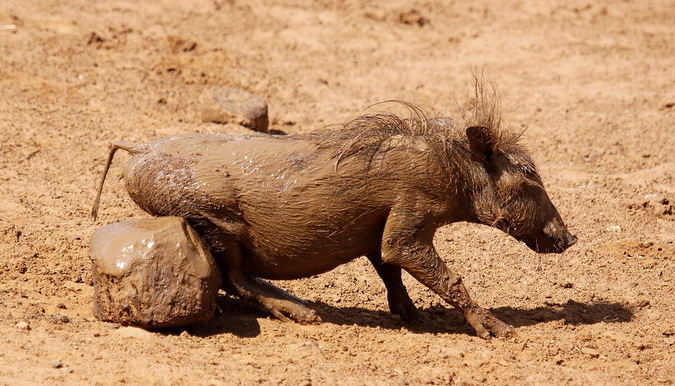 Warthogs, like every other pig out there, like to roll in the mud. They do this for very important reasons: to protect them from the harsh rays of the African sun, and against insect bites. 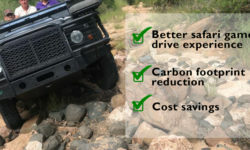 Rolling in the mud provides a layer of natural sunscreen and helps cool them down.